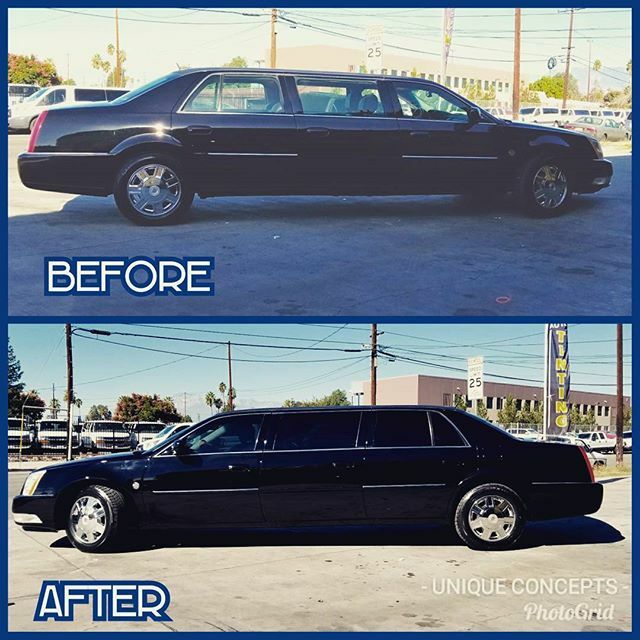 At UNIQUE CONCEPTS, we take care to provide our customers high quality services personalized for their unique needs. We are available to take your order 24 hours a day, 7 days a week. Our staff members are professional, courteous and efficient. 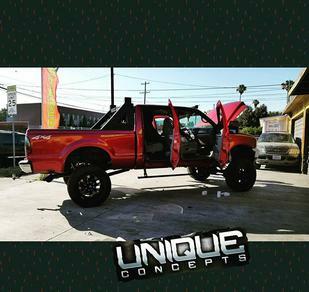 HOW DARK CAN WINDOW TINT BE IN CALIFORNIA? Darkness of tint is measured by Visible Light Transmission percentage (VLT%). In California, this percentage refers to percentage of visible light allowed in through the combination of film and the window. ◦Windshield | Non-reflective tint is allowed on the top 4 inches of the windshield. ◦Front Side Windows | Must allow more than 70% of light in. ◦Back Side Windows | Any darkness can be used. ◦Rear Window | Any darkness can be used. HOW REFLECTIVE CAN THE TINT BE IN CALIFORNIA? ◦Back Side Windows | Must not be more reflective than a standard window. ◦Restricted Colors | The tint color(s) of RED AMBER BLUE are not legal by state law. ◦Side Mirrors | Dual side mirrors are required if back window is tinted. ◦Certificate Requirements | Manufacturers of film do NOT need to certify the film they sell in the state. 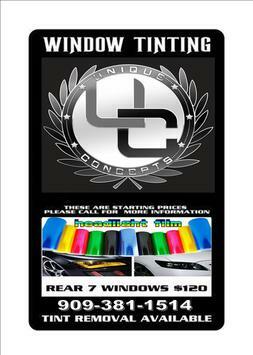 ◦Sticker Requirements | No sticker to identify legal tinting is required. ◦Medical Exemption | State law does NOT allow medical exemptions that would allow you use special tint.